Eye exercises for myopia are the single most searched term on Google when searching for improving eyesight methods. Eye exercises. For myopia. It’s a good hunch. Now first, for some context. I myself used to have -5.00 diopter myopia, over -1.00 diopters of astigmatism, and was basically blind as a bat without glasses. Blind, darlings. Today writing this I have exactly zero diopters of anything, no myopia, no astigmatism, no nothing. The entirety of retail optometry can go blow a collective goat. They’re getting exactly zero dollars from me, ever again. The sheer credibility of that face! Here’s the deal: I got rid of ALL of my myopia, using exactly zero eye exercises. Or rather I tried eye exercises for myopia aplenty, but they didn’t prove to be fruitful. Temporary improvement yes, actual myopia reversal, no way. So here I am, about to explain to you how you’ll waste days, weeks, months, and years of your life with stupid eye exercises. This, starting things right off with the big guns, is key. If you’re not the type to fall for every single Internet unicorn farming pitch of mythical eye exercises, this one should give you pause. CAUSALITY, darlings. Always, always always always address the big question of causality, before looking at exercises, treatments, “cures”, whatever. The first question is what caused my myopia? Retail optometry will tell you that myopia is genetic. I say retail because there’s a huge, gaping, incredibly massive difference between optometry science and optometry retail. Optometry science for example, straight up admit that retail optometry treatments (aka glasses) literally cause myopia. Not doing us any favors with these. Causality. First, myopia is not genetic. Starting the whole thing from the very beginning. I created a quick overview page on how first pseudomyopia and later progressive, lens-induced myopia happens. This isn’t really up for debate, this is just basic vision biology science. Anybody who tells you otherwise is a clueless id*ot (or sells lenses for a living). This site also has a whole section just dedicated to the science of myopia, quoting hundreds of peer reviewed ophthalmology science papers. Once you understand the science of myopia, you can start to functionally apply whether or not an eye exercises for myopia could possibly address the cause. If it doesn’t address the cause, then the eye exercise can’t possibly fix your myopia. If this stuff is something you just skip over, scroll past, then you’re the type of sucker who’ll fall for eye exercises. No? Still reading? Good. Myopia is caused by too much close-up first (pseudomyopia) and hyperopic defocus from minus lens wear (glasses, progressive myopia) later. Do eye exercises for myopia address the too-much-close-up problem? No? Well then they not going to work. Do eye exercises address hyperopic defocus from minus lenses you wear all day every day? No? Well then. Myopia eye exercises, obviously not addressing the cause of your progressive myopia. If you’re among the smart ones, quick on the uptake, you already get it. Eye exercises don’t address myopia causality. So they can’t work, by definition. The camera just loves this face! You may gain temporary relief, a sense of improvement since you are challenging your eyesight. Remember, I used to have -5 diopter myopia. So there is a way out, no LASIK, no unicorm farming eye vitamins. We’ll get to that. But first we really need to address the eye exercise problem. Let’s talk about a few of the more popular eye exercises, rooted in a false notion that they have anything to do with a certain William Bates, of questionable eye exercise fame. William Bates was a brilliant guy. Back in the 19th century he was way ahead in the optometry game, one of the first guys to hypothesize that close-up was a problem and that relaxing the eyes would help prevent increasing myopia. 19th century. We didn’t know much about biology back then, medical practices weren’t exactly brilliant (ice pick lobotomies, anyone?). But Bates was on the right track. Sadly he p*ssed off the wrong people, and optometry went a different way. 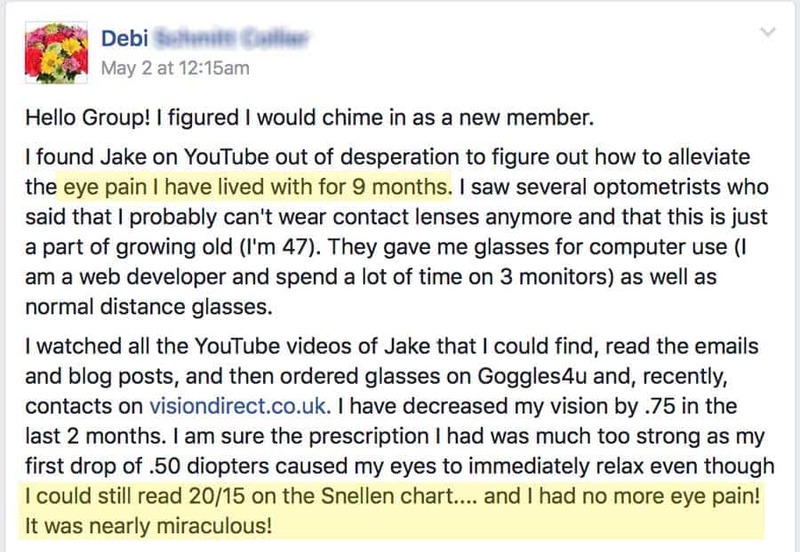 The way of making profit selling you glasses for life, and not having you question what causes myopia at all. That said, Bates is now used to promoted all kinds of eye exercises that either have nothing to do with Bates, or simply don’t do anything if you have multiple diopters of myopia and spend all day in front of screens. “Bates Method” proponents, basically the flat earthers of myopia control. Bates Method, fake, also doesn’t address causality. There are plenty of these exercises that defy logic and having half a brain. Palming, maybe the most popular. This one is hilarious in its symbolism. Literal face palm is the exercise that the flat-Bates-earthers try to sell you will somehow improve your eyesight. Face palm. The universal symbol for eye exercises. Based on all you learned so far, what possible benefit could be in slapping your hands in front of your face? That’s some patently dumb, amateur level of child-like hoping for Santa Clause to rescue them from their myopia. That’s not even a myopia eye exercise. That’s just stupid. One day I’ll make a whole separate post about this one. It’s just so painful and yet funny. You’d have to be literally retarded. These things primarily appeal to a certain type of individual. You know. Carrying a yoga mat everywhere, chewing your ear off about the latest super food, about the latest polymorphic, intermittently fasting, time restricted eating fad, about the unicorn berry they discovered in the Amazon. The one who has every possible condition, ten thousands posts in the health forum, littering your Facebook feed with the latest exercise tricks. Not knocking it. Sometimes the outliers find good things, and there’s a place for everyone in the village that makes us collectively great. 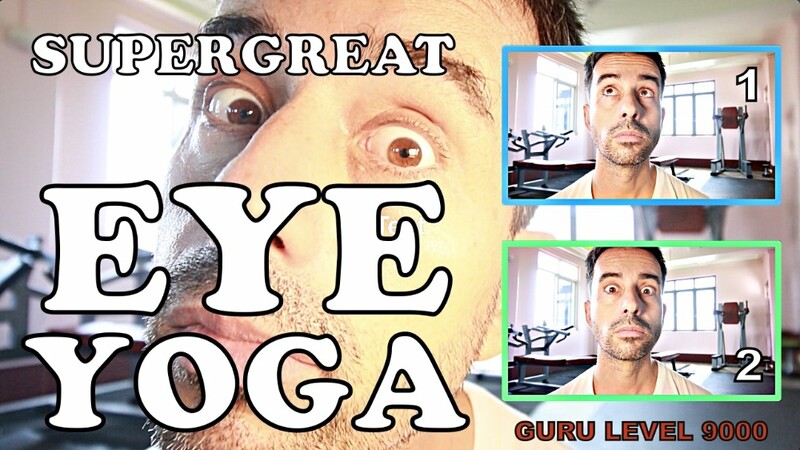 But come on, with the eye yoga already. So, fine. Eye exercises for myopia don’t work. So what does work? I reversed my 5 diopter myopia not with exercises, but rather with habits. You need the right habits to reverse myopia. There’s no easy way to unpack the entirety of the massive subject on myopia causality, eye exercises, and vision improvement in one single post. Stimulus will improve your eyesight. Habit based stimulus, rather than some forced eye exercise regimen based stimulus. You’re on the right track searching for ‘exercises’, though the road leads not quite where you may have expected. You may want to explore our how-to section, the diopter section, and even look at the dodgy therapies that are out there. 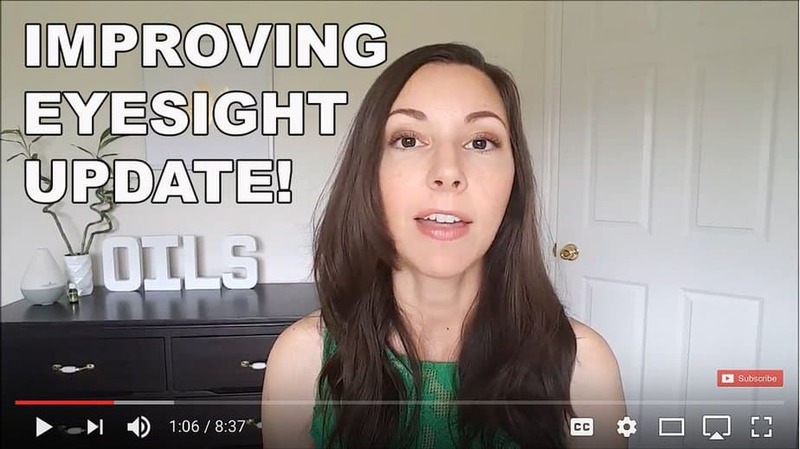 As you may have noticed by now, we’ve got a whole Youtube channel dedicated to vision improvement. 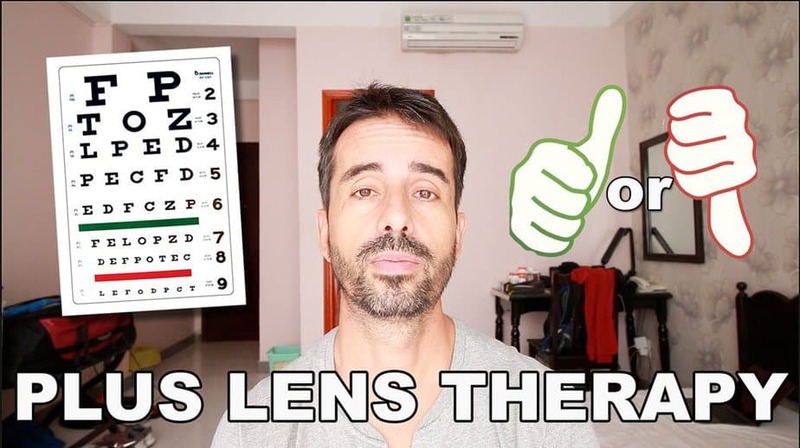 Good luck on your quest for improving eyesight, hopefully this post saved you a whole lot of potentially wasted time pursuing silly eye exercises.